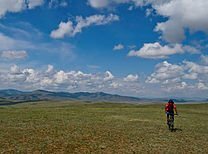 Our bespoke itinerary design service provides unique tailormade Mongolia tours to suit your own particular requirements. We love coming up with new ideas or twists on old favourites to ensure that your Mongolia experience is truly personalised and unique. Whether you have a blank canvas or ideas set in stone about what you would like to do, our team of Mongolia travel experts can make it happen. We have extensive experience in providing bespoke Mongolia tours for a range of traveller categories – here are a few who often benefit from tailor-made Mongolia travel solutions, and a few ideas of how we might tailor a trip to suit specific needs. 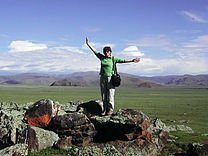 Travelling alone in Mongolia is easy and affords complete flexibility and privacy. 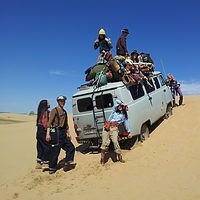 You may be travelling alone as part of a work assignments, research, or to follow a private passion or hobby – photography, archaeology, Buddhism, shamanism, horses etc. – we have extensive experience in helping design itineraries that fulfil such specific needs. The choice of guide for 1-on-1 trips is of paramount important and we always discuss preferences with guests in advance of travel (male/female; age; interests etc.). Travelling alone is also not cheap – so we can often come up with great solutions that don’t cost the earth. This could involve volunteering at a rural community project, or at an orphanage, or perhaps arranging an extended homestay with a nomadic family. Sometimes we can even pair up like-minded single travellers to share the cost of a holiday, if they are not travelling alone out of choice in the first place. 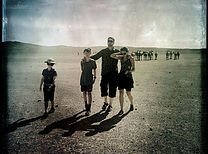 Travelling as a couple offers you the freedom to do as you like, and in Mongolia is not that much more expensive than joining a group trip – due to vehicle/staff/accommodation and other logistical considerations. Often many couples travel independently in other countries, so we are experienced and sensitive to the need to provide itineraries (and guides!) that are flexible and non-prescriptive, whilst retaining the benefit of being cohesive and all-inclusive. We also love designing trips to celebrate special occasions – anniversaries, weddings, honeymoons, birthdays – and surprises and special touches are our forte. From a simple birthday celebration with a cake and a bottle of bubbly, to a romantic getaway with your own private ger set up in a spectacular wilderness location, we can turn any memorable occasion into a magical Mongolian one. 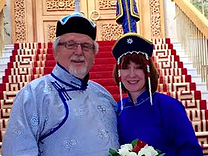 Here are some of our suggestions for a tailormade Mongolian style wedding. 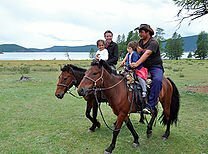 Mongolia is ideally suited to families – sleeping in gers, wide open spaces, lots of animals, activities, and spacious vehicle layouts – all contribute to the perfect holiday solution for parents and children of all ages. 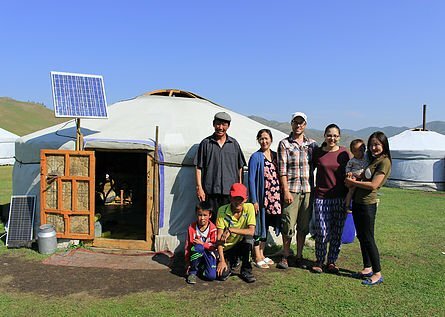 Having organised many Mongolia family holidays over the years – and with our team having young families of their own – we are perfectly placed to appreciate your needs and to suggest itineraries that we know will work well. Variety – a little of everything but not too much – is key, whether it’s activities, accommodation choices, or modes and times of travel. Convenience and diplomacy, with ultimate parental decision-making, are key ingredients! At Goyo Travel, we have a wealth of experience in providing tailored Mongolia trips for specialist groups, often with a specific focus or aim that goes beyond the remit of a standard tour.